Choose the subscription that's right for you! *IMPORTANT INFORMATION: The Inky Box is a home-based business, and elements of the box will, unavoidably, be exposed to an environment with pets. 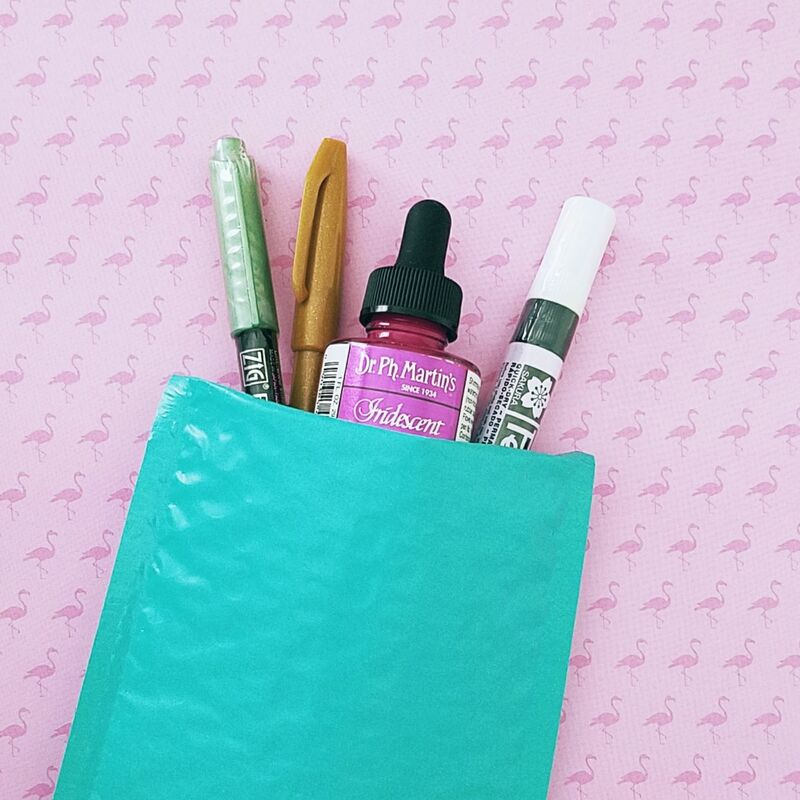 Fuel your lettering obsession with a monthly selection of lettering tools, supplies, and hand-lettered greeting cards, hand-picked by Sarah @theinkyhand! The Inky Box with none of the frills! 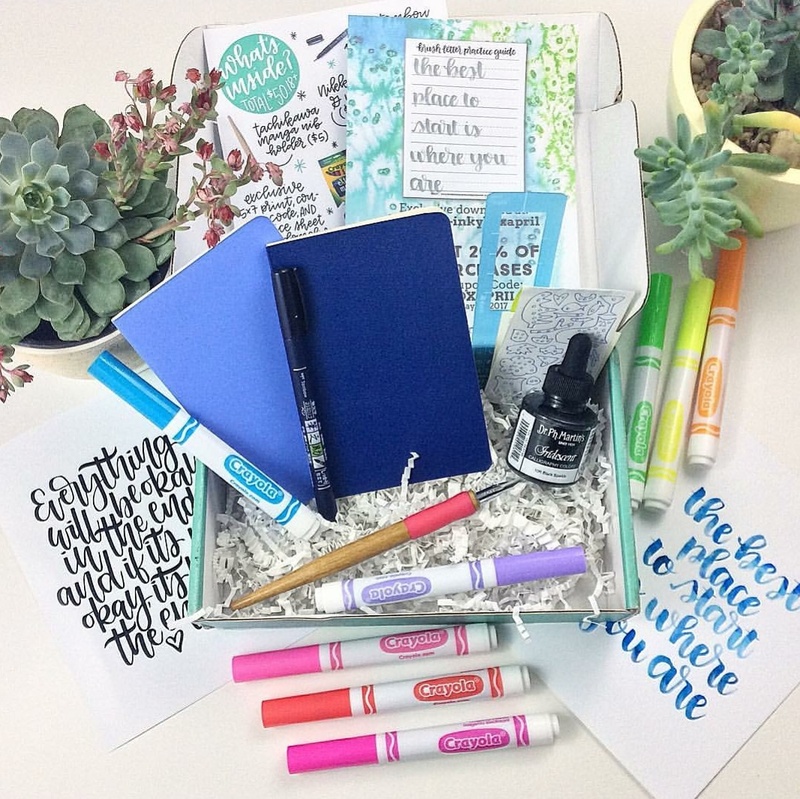 The Inky Box Mini is simply a sampling of 3-5 lettering tools from the month's box, plus downloadable practice sheets by that month's guest letterers! The Mini always has a guaranteed value of at least $15!